Since we're talking about burgers... here is one burger joint I would definitely recommend you to take a bite of. Other than having their very own special recipe of their patties, they do name their burgers quite exotically, such as Nuclear Bean, Notorius Nut Job, The Gorgonzola to name a few. And so to spice things up, we are coming up with a giveaway, A Boulevard Diner giveaway of course! Stay tuned in the next few days, as we showcase their burger specialties and give you a heads up on what you will be winning for yourself. So stay tuned! Please do visit Boulevard Diner on Facebook! It was just a few months ago, KFC thought of the just the perfect way to tease me...the KFC Double Down. It hit stores at such great orders that almost all KFC stores were out of stock!!! Can you believe that? 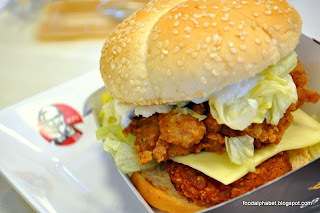 But as we were munching our way to our KFC Double downs, KFC was cooking up something new, something out of this world, and something really BIG, KFC's Tower Burger!!! So what is a KFC Tower Burger? More specifically what is in a KFC Tower Burger, so we got buns, creamy mayo, crisp and fresh lettuce, a hash brown (say what!) yes, you read it right a hash brown, flavorful cheese and the mighty good original recipe chicken patty (same chicken patty as the Double Down). With much appreciation I was handed my KFC Tower Burger and by golly what a big box it is! Anticipating, and waiting to open and conquer my Tower Burger. So why is it called a Tower Burger you may ask. On a good day, meaning your KFC staff is a good sandwich maker, your Tower Burger can go as high as 2 and a half inches, but I guess most of us will just have to contend with a 2-inch high burger, since it is really quite hard to stack it up that high. So the first thing you will notice is that, it does not follow the sequence of the arrangement for the Tower Burger, as it is quite obvious the hash brown is much better to be at the bottom to be able to hold the sandwich rather than the original recipe chicken patty as shown in the pic above. But who really cares what is placed up or down in a sandwich right? What matter most is how would it taste? All I can say is, it is more than what I had expected. Having a hash brown in the sandwich is complete genius!!! Yes I love it! To whoever thought of making this, I have to congratulate you! The mayo is yummy, and the hash brown and cheese is complemented well by the original recipe chicken patty, giving it that perfect saltiness and crispiness. It is definitely one great sandwich, I have to admit that it took quite some time for me to finish it, savoring every bite. And what satisfaction indeed and for the record I was full the whole afternoon. Lastly there is a warning on the box that says It's jaw dropping! And I would say it definitely is so. Thank you KFC for making this, and hoping it would be part of the regular menu. Get your KFC Tower Burger at your favorite KFC branch now and give in to your cravings. Hopefully they won't run out. ala carte for P110.00 and P140 for a meal with reg. fries and drink. It was a privilege for me to try out one of the most sought after burgers in town, Boom Burgers. Originating in the weekend market of Salcedo in Makati, their first commercial stint in bringing the best gourmet burgers in town soon came from a dream to reality. 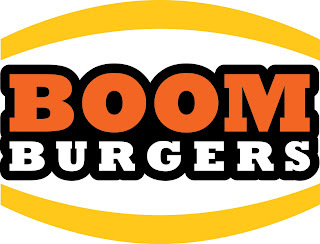 All BOOM Burgers are 1/3 lb., pure 100% beef patties, hand made patty, kept fresh not frozen, and charcoal grilled upon order, so you can be sure of its freshness and flavor. Just look at those yummy burgers, first up we have the classic Cheeseburger, pure beefy goodness in every bite, just don't wake me, I'm in the middle of a Boom Cheeseburger bliss. The charcoal grilled beef patty was in every sense one of the best burger patties I have ever tasted. Grilled to a crisp, juicy on the inside, topped with toasted sesame seed bun. And after that 1/3 pound cheeseburger, my next challenge is waiting for me. The ever so famous A1 Burger. This burger fits the Best Steak burger title. With juicy, beefy goodness you can savor just like having a steak on a plate, but in case steak on a bun. 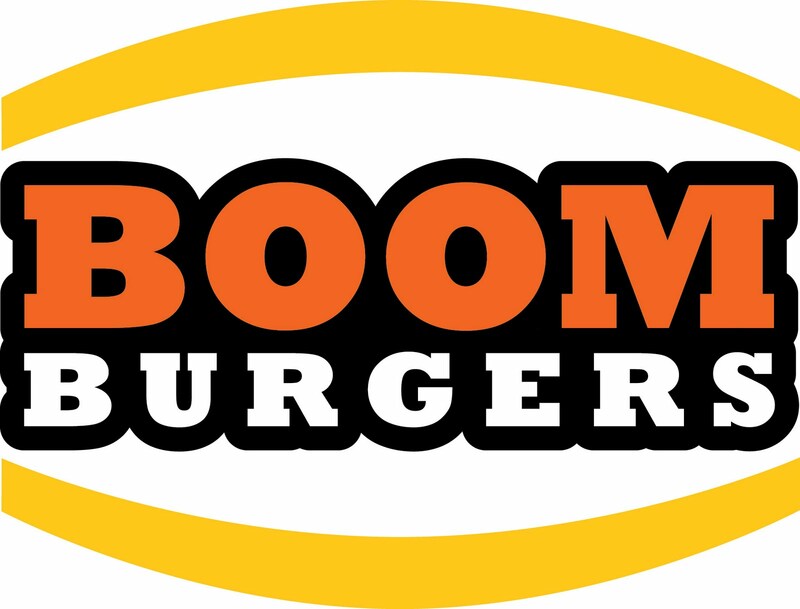 BOOM Burgers (BOOMBURGER FOOD INC.) presently has a line-up of 6 burgers and as much as I want to try all of them, I have only a stomach, and it is definitely full right now. So do try their burgers and I'm sure you will satisfy your cravings. Every so often, Figaro Coffee Company gives us more reason to dine and enjoy their coffee, but do you know that Figaro is not just coffee, other than their famous Figaro ala carte meals, now there are Spoon Meals. Busy days usually make you skip meals. Starve no more with new gratifying Spoon Meals at Figaro. Try the new Chicken Thyme with Creamy Cheese Sauce (P215) - deep fried coated chicken fillet poured with creamy cheese sauce. Served with buttered corn and carrots as side dish and steamed rice, it comes with your choice of beverage, iced or brewed coffee or iced tea. Thyme, believed by the ancient Greeks to be a source of courage is also a good source of iron. Though flavorful, thyme does not overpower the taste of chicken. The creamy cheese sauce allows you to savor the crunchy deep-fried chicken with thyme perfect to nourish your body and your metabolism throughout the day. The bursts of flavors from the buttered corn and carrots with the chicken thyme will fill you right after that business meeting or before it at your favorite Figaro Coffee Company. Chicken Ala King (P215) is diced marinated chicken in special creamy sauce with vegetables served with buttered corn and carrots, steamed rice and your choice of iced or brewed coffee or iced tea. The dish common to all Filipinos served with bread is actually perfect with rice. Chicken Ala King, usually prepared with thickened sauce of butter, mushrooms and other ingredients, is an easy meal served in parties and occasions now available at Figaro. The creamy diced chicken with crisp buttered corn and carrots with steamed rice will set you off to a bright start of the day. You deserve the meal fit for a King because Figaro knows you crave for the Chicken Ala King at parties and business meetings. There's no need to feel guilty over this classic creamy combination of chicken, peppers and mushrooms because you deserve the spoon meal to accomplish those tasks of the day. The delicious Spoon Meals of Figaro is now available at all branches any time. No need for a knife and have it your way with a spoonful of Chicken Thyme with Creamy Cheese Sauce or Chicken Ala King in bite sizes because you deserve the royal treatment at Figaro. Banana...good, hazelnut... good, it's all good!! What are you eating? What will you be eating tonight? What will you be eating tomorrow? Everyday of our lives we ask ourselves that question. And it is a never ending question for that matter. Everyday we try to satisfy our craving for the best food that we can get our hands on. But we want our meals to be fresh, and of course cooked in the most delectable way that we imagine that it is made by the inner chef in us. So where do we get fresh and good food to cook for our unending search for the best dishes to fill our palates? 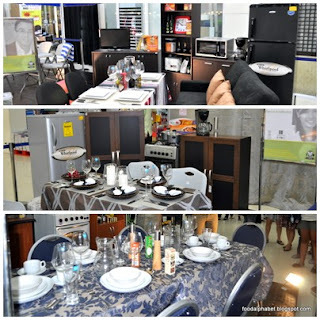 No where else but SM Hypermarket. That’s why on its 10th anniversary, SM Hypermarket sets its sights on creating milestones with its SM Master Chefs program. First off, nineteen master brands: Knorr, Nestle All Purpose Cream, Unilever Food Solutions, Tabasco, Lee Kum Kee, Lady’s Choice, Maggi, Clara Ole, Kikkoman Soy Sauce, San Remo, McCormick, Bounty Fresh Chicken, CDO, Purefoods Tender Juicy Hotdog, Purefoods Star Hotdog, Magnolia Cheeze spread, Magnolia Purefresh, Magnolia All Purpose Cream and Magnolia Dari Crème – each a familiar staple in today’s Filipino kitchen, join SM Hypermarket to feed the culinary world’s insatiable hunger for innovation. Together they will launch SM Master Chefs, a composite event made up of three components – a grand cooking demo, kitchen makeovers, and a set of cook-offs that are set to make foodie history. 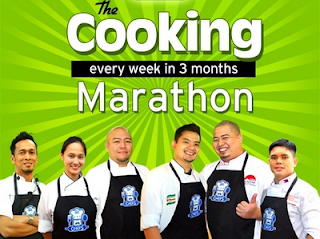 From July to September, every week in three months, SM Master Chefs will conduct a marathon of cooking demos that will tour SM Hypermarket branches all over the nation. Not only will these demos serve as a source of entertainment for the onlookers, but also as a venue of culinary discovery for people who are passionate about cooking. 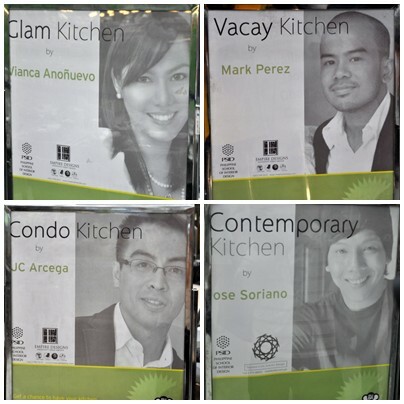 The cooking marathon, with big name chefs such as Chef Sau del Rosario, Chef Kai Verdadero, Chef Bruce Lim, Chef Paulo Sia and more. Last but not the least, SM Hypermarket will also launch a series of Supersized Cook-off events set to make culinary records. Set in five different locations, each cook off will feature a regional dish and will be undertaken with the help of the local government units and the community. Food drives a man, and a man drives a nation, so food drives a nation. We will be known in the whole world as one of the culinary capitals to visit and savor a array of exciting dishes. These five months are going to prove exciting for foodies, chefs, and onlookers as the store that has it all brings the message of attainable culinary excellence to every corner of the country. Just you wait and see. Get to savor the finest appetizer and dessert buffets only at the premiere Restaurant 101 at the Mc Kinley Hill. Fill up your appetite with a main course served ala carte. Indulge and dine. 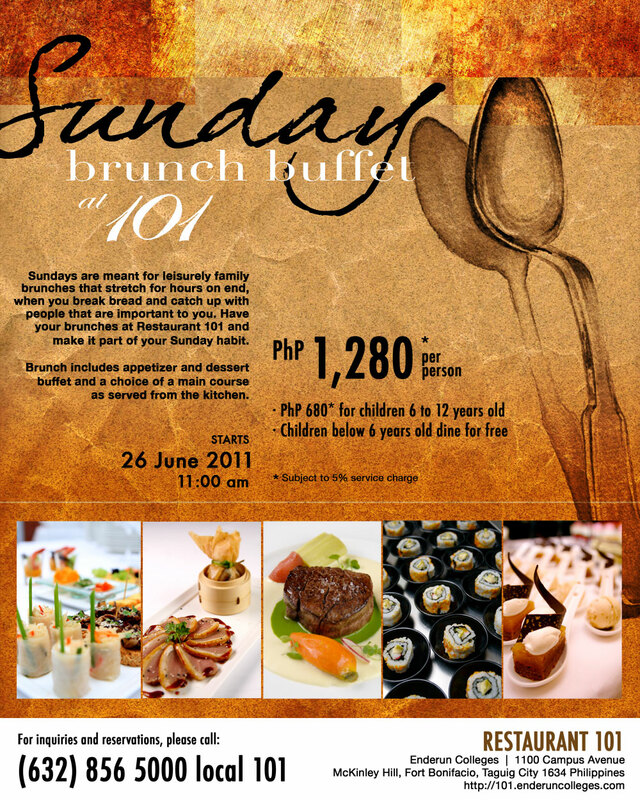 Only on Sunday's brunch at 101 starting June 26, 2011. 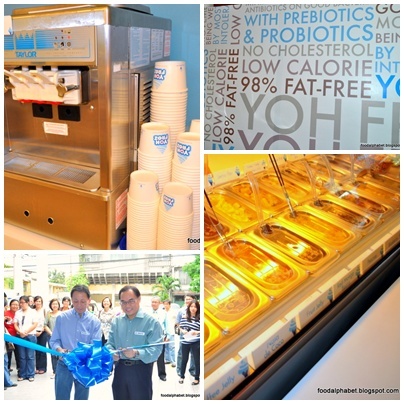 Live healthy and do yourself a flavor with Yoh Froz! Yoh Froz.. do your health a flavor! Do you love yogurt? Did you know that yogurt have so many essential benefits to the body, that can help give you a healthy digestive tract, keep you on the go and cleansed all the time. What's best is that yogurt can give a nice and fit body because its low calorie, no cholesterol 98% fat-free, has prebiotics and probiotics that help maintain a healthy you. The newly opened Yoh Froz in Banawe was huge. with so many seats and nice tables you can have your whole angkan here, Nice and Neat... very pleasing to the eyes indeed. Now to the yummy part of this post... Yes we all know yogurt with their nice tangy taste, original with a little sour kick, of course its yogurt, but Yoh Froz did something totally different, they made yogurt taste more enticing with their delicious and extraordinary creations. My friend and blogger Glenn Ong, seem to be very happy with what he is holding, i mean eating. If he is happy, I guarantee you will be happy. on the left you have Chocolate Jungle Froz, this is definitely for the kids... with loads their favorite original Yoh Froz yogurt topped with banana slices, rice crispies and a whole lot of chocolate syrup. on the right we have Fruit Mania Froz, for those health conscious and fruit loving people, this is definitely for you, with loads of kiwis, mangoes, watermelons on top of your favorite Yoh Froz yogurt. More cravings for you on the left is the much talked about yoh-gurt concoction that you can only find in Yoh Froz. Yoh-gurt parfait (P175) with the blend of the perfect, nutritious and delightful toppings, it is fast becoming a favorite amongst Yoh Froz fanatics. And on the right we have yoh-gurt smoothies (P125-P135), is the healthier alternative to you favorite milkshakes, comes in Mango Banana, Peach Mango and other fruitful concoctions... a definite must-try. Can you what I see!!! Yoh Froz yoh-gurt mochi balls!!! oh goodness they are yummy so much flavors to choose from, with the likes of strawberry, original taro, chocolate and even more to come, but what's best is they are yoh-gurt healthy. Another treat coming your way... Yoh Froz pinipig crunch, in 2 flavors vanilla and chocolate, don't know what they will be calling them when they come out, but this will sure be a best seller. Watch out for it soon. Thank you Yoh Froz for inviting us to your grand opening.... surely it will be a mainstay in Banawe and a favorite amongst Quezon City residents, go get one now!! For a list of their branches CLICK HERE. Like Yoh Froz on Facebook for more promos, freebies and discounts! !